Cat No: GOD001 Label: GOD? "A man of indeterminate age stands behind a stack of drums and keyboards, all arrayed within his reach. A guitar hangs down from his neck, occasionally played his hands aren't split between the keys, tapping out riffs on synth. His feet work a couple of pedals beating out time on snare and floor tom. A drumstick is deployed on the guitar and the keys only. Makes sense. Like a schizoid game of 'Pong', the whole thing is about exploiting the tempo, and the sounds - these ano / digital shards, iced with minimal / savant lyric shreds and a crazed slavery to the groove(s), could be hailing from Munich in '77 or Cleveland, SF, LA, NYC or London in the late 70s. It could be the soundtrack to Peter Ivers's 'New Wave Theatre' or some weird dark corners of the early 80s once the records began to make their way into the world. These tracks are the sound of Trin Tran. 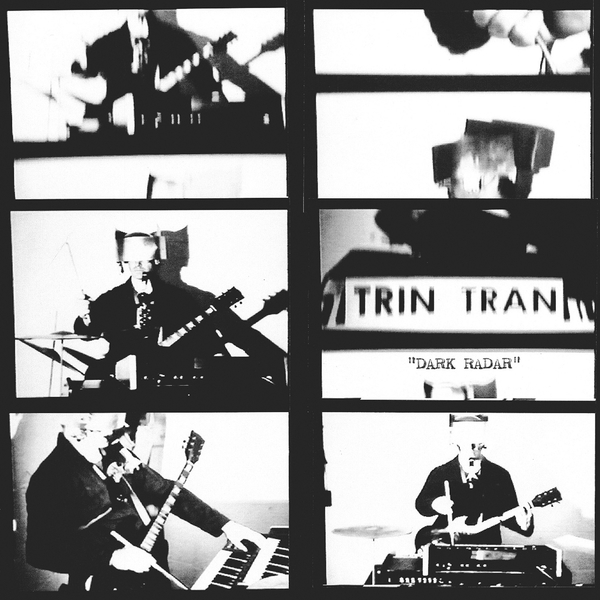 'Dark Radar" was recorded in 2002 and 2003, made up into a couple of different CD-Rs and then burned and given away. 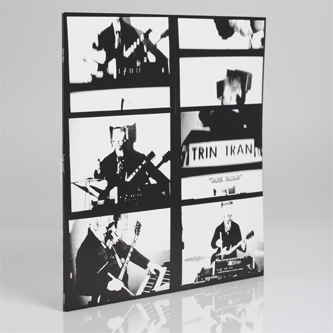 Finding Trin Tran himself and getting all these tracks gathered together took a little bit of time."